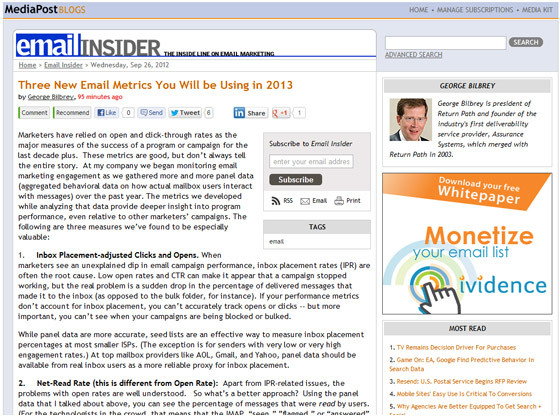 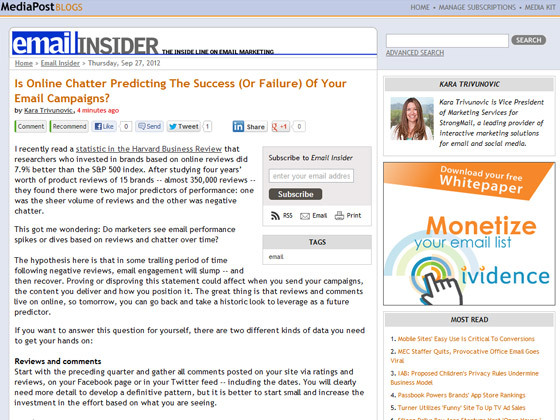 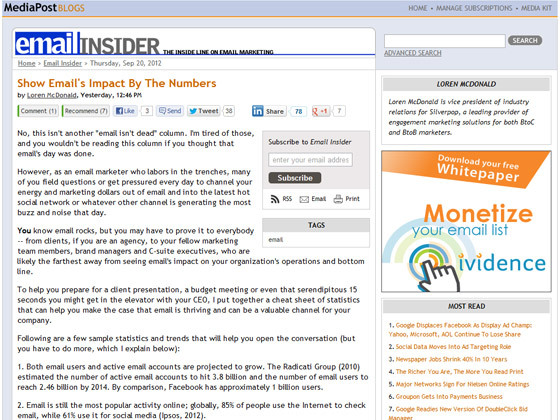 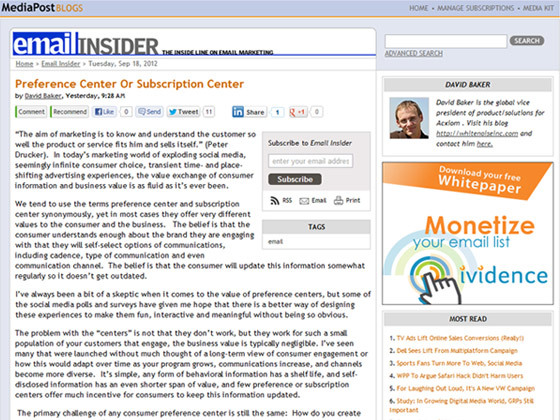 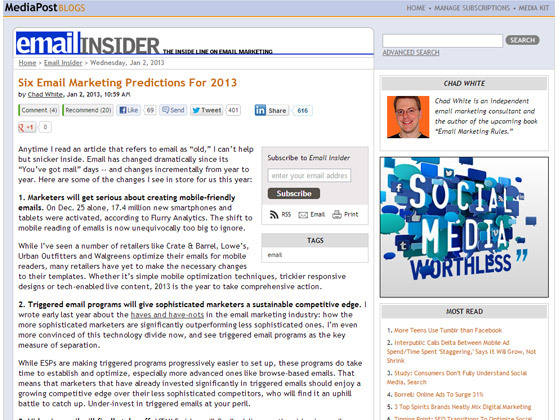 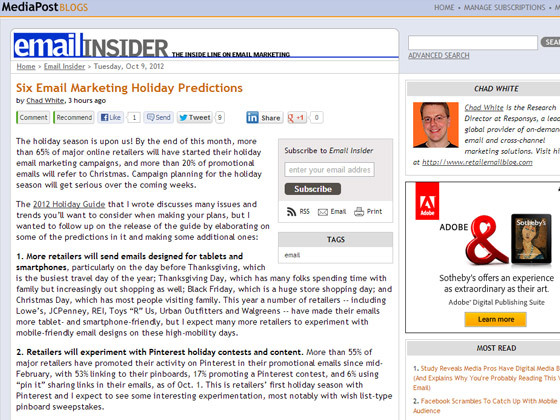 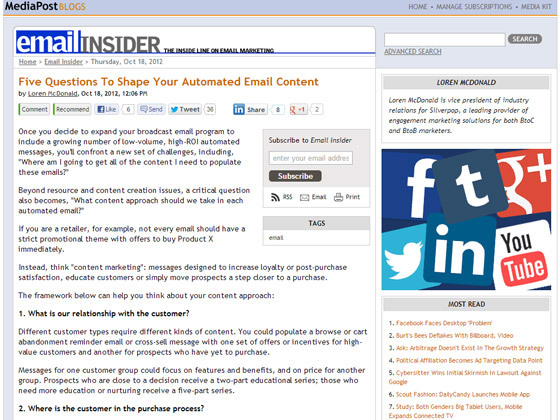 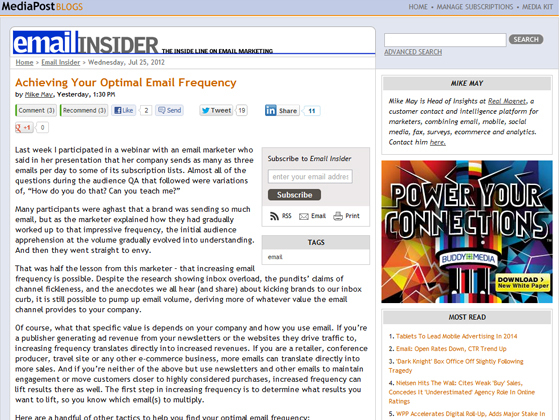 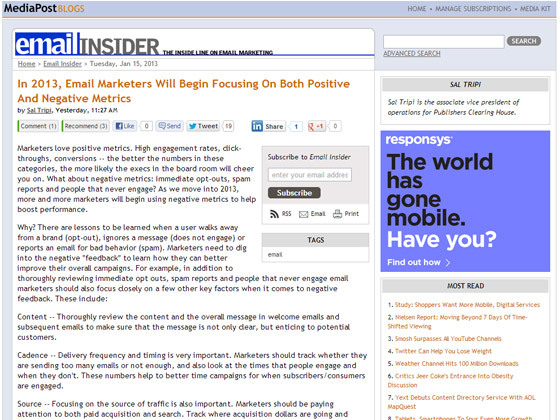 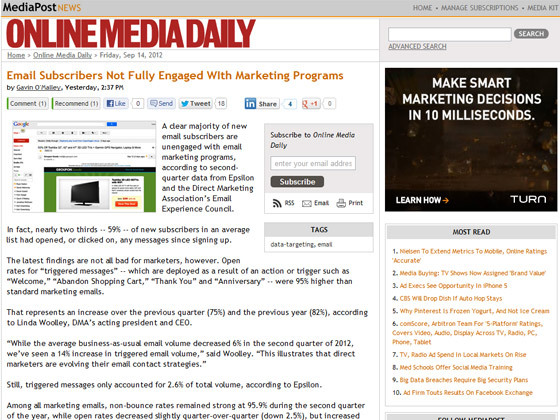 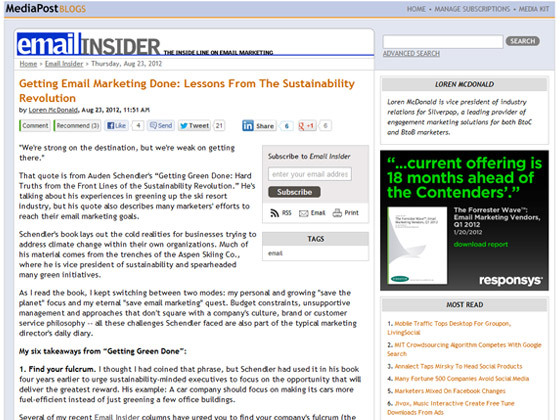 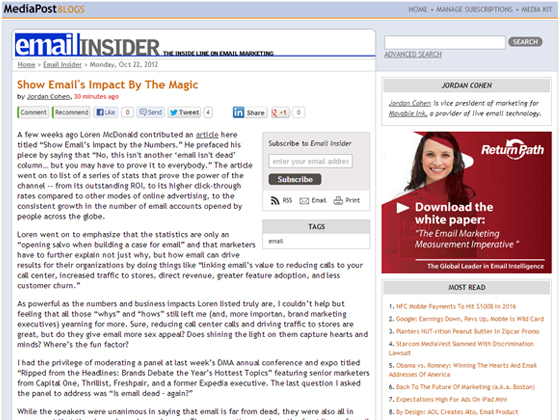 MediaPost – Is Online Chatter Predicting The Success (Or Failure) Of Your Email Campaigns? 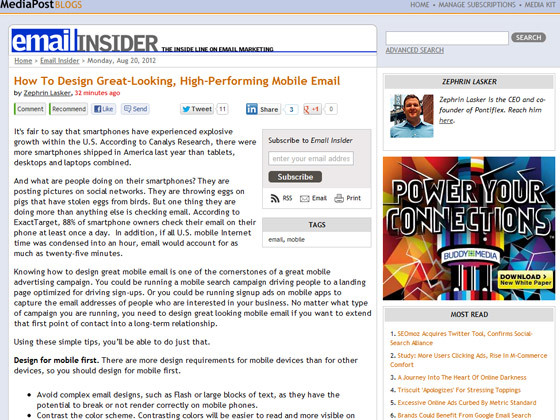 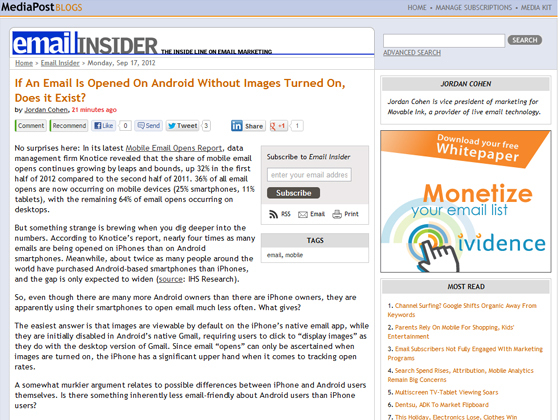 MediaPost – If An Email Is Opened On Android Without Images Turned On, Does it Exist? 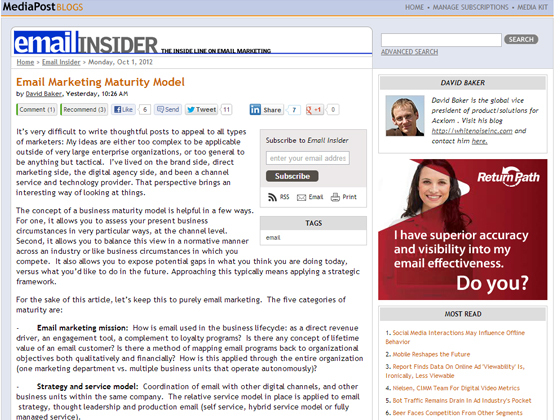 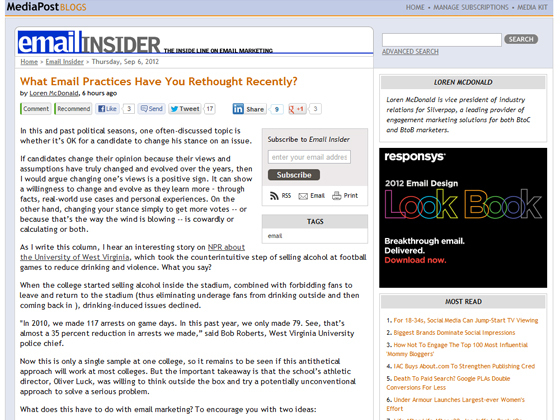 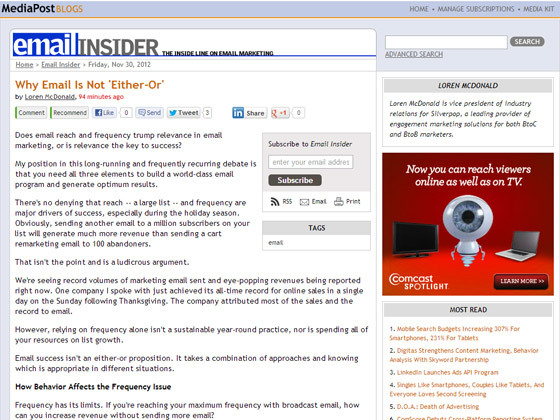 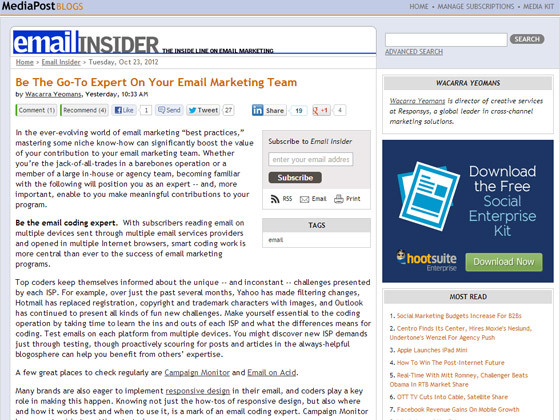 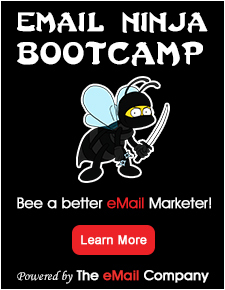 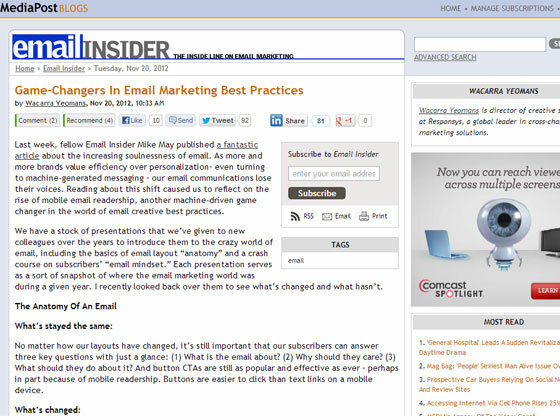 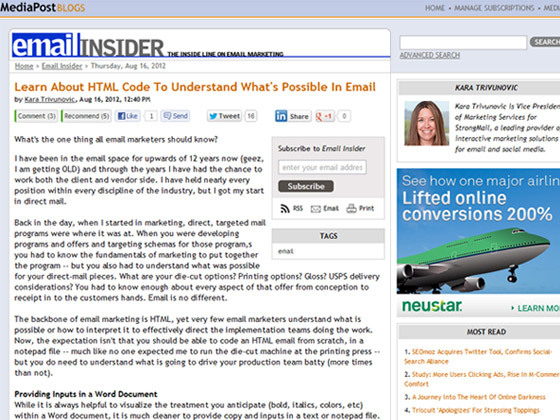 MediaPost – What Email Practices Have You Rethought Recently?